Do I need a Cantonese translation or a Mandarin translation? Can you certify my existing translation? 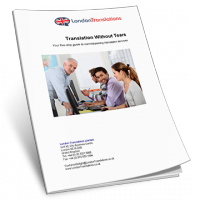 How can I count the number of words in my document to be translated? What are translation memory tools? Are machine translations any good? Do you provide interpreters by the hour? Is equipment hire included in the price with interpreters? What do I need to be aware of when ordering simultaneous interpreters? 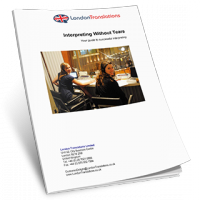 Do you have an interpreting assignment check list? Where can I get a cheap French translation? Why are some languages more expensive to translate than others? Do you have a translation check list to help me order? How are interpreting assignments priced? How do I get a translation quote? Why are English to French translation prices different to French to English prices? French translation prices in London? Why do you charge based on number of words in the source document? How much does French translation cost? Why do prices charged by translation agencies vary so much? Why do you charge for translation by the word not by the page, line or hour? Do you do discount translations? How much do you charge per word for translation?